The Scott Spark, one of the most sought-after XC / Marathon doubles by any Mountain Bike enthusiast, undergoes a thorough renovation for the 2017 season. Designed under the watchful eye (and needs) of World Champion Nino Schurter, the Spark of 2017 Arrives loaded with news on its wheels. The main features of this new double? 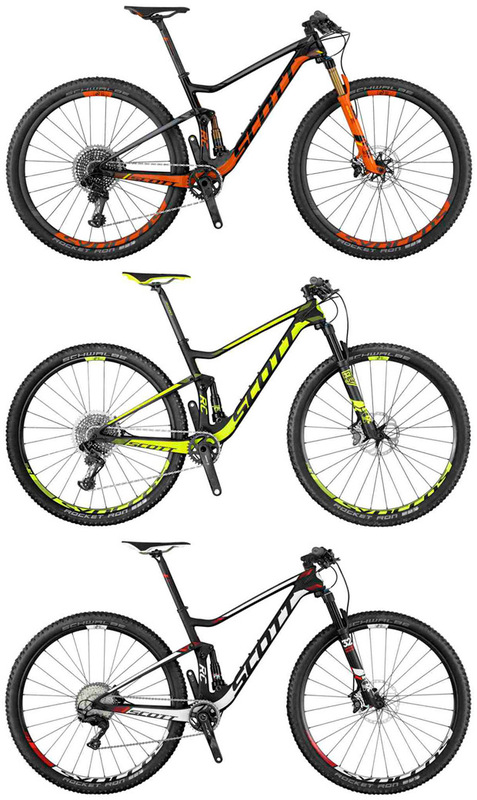 A revised geometry, new suspension system, new ultra-light carbon frame for the RC (top range) models and 27.5, 29 and 27.5+ versions to meet the needs of all types of users. 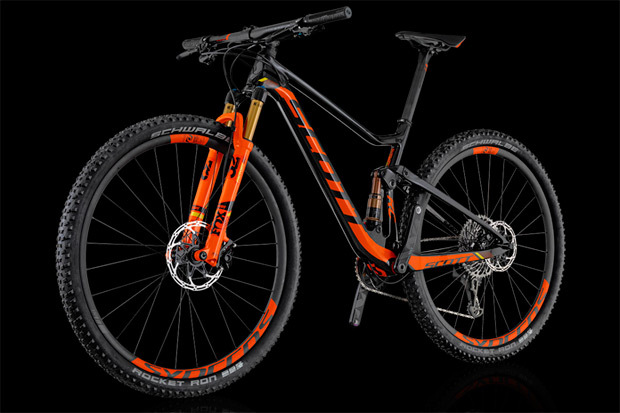 Together with the Scott Scale, Spark is the flagship of the manufacturer’s XC segment, also popularized by current World Champion Nino Schurter. 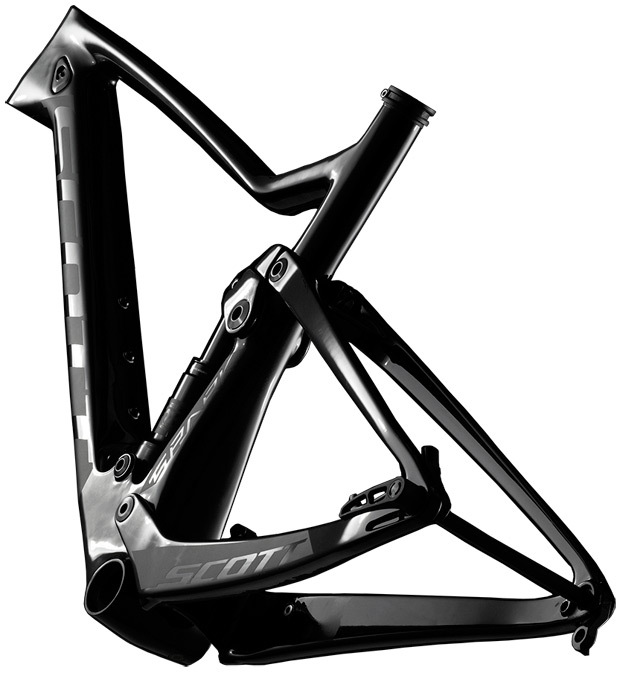 By 2017, the Scott Spark has been completely renewed with a new HMX-SL carbon frame at the top of the range (Spark RC), in addition to HMX and HMF carbon frames and, of course, aluminum. The Spark arrives with a stated weight of only 1,749 grams for its HMX-SL frame in size M with shock absorber and screws; No less than 140 grams lighter than the equivalent predecessor. Designed to cope with increasingly technical rally circuits, the geometry of the new Scott Spark 2017 has been updated following current industry trends (longer top tube, shorter sheaths, harnessing carbon flexibility, etc. 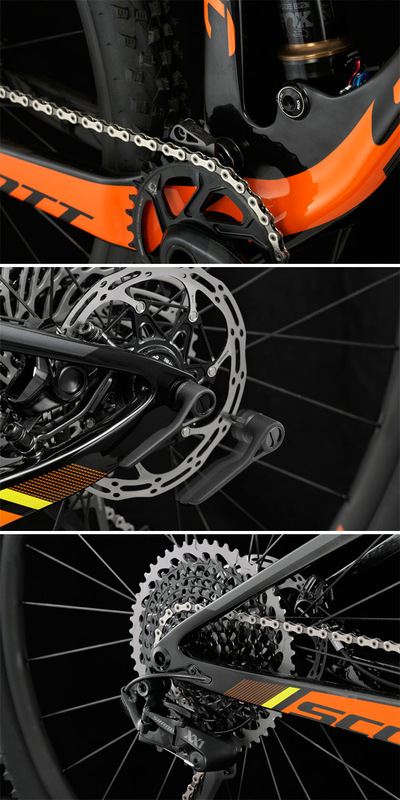 ), Achieving not only a rigid and light bike, but also much more efficient in both ascents and descents. The range of use of this double is maintained, perfect for both the most demanding racers and for fans who are looking for a lightweight and comfortable model for their recreational routes. 438 millimeter (428 in 27.5 “) pods, a steering angle of 67.2º (67º in 27.5”) and an angle for the 73.8º saddle tube shape the new Spark 900 RC and Spark 700 RC frames, With somewhat more relaxed measures for the Spark 900 and Spark 700 models. The Spark Plus frame, designed for 27.5+ wheels, adopts a steering angle of 66.9º (for 130mm travel forks), an angle for the saddle tube Of 73.2º and a length of pods of 438 millimeters. Technological innovations present in the new Spark 2017 are in line with its rigid sister, Scott Scale 2017 . 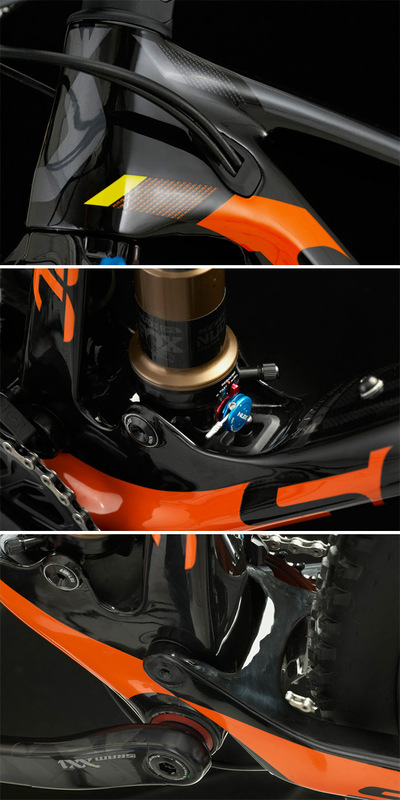 The frame comes with ICCR internal wiring and several new features, such as a new anchor for the rear brake caliper that avoids interference with the studied flexibility of the sheath that supports it, the integration of the change pin in the frame itself or the adoption of standard Boost , with front axle rear of 148 and 110 millimeters. The most striking new feature of the Spark 2017 is its new suspension system, completely renovated for the latest generation of this model. A carbon cylinder much smaller than the one present in previous ranges, combined with a simpler rear swingarm (formed by three pieces) and a metric buffer installed in inverse position just under the legs of the cyclist are responsible for providing a much more balanced performance . The advantages of the system result in a greater sensitivity in the first section of the route to absorb small impacts and a greater progressivity in the middle and final part in order to act optimally against large impacts without making stop at the end of the route. Scott offers us for the season that comes an extensive range Spark, including versions Contessa specific for woman. Available from the third quarter of 2016 at regular points of sale, we can find the Spark 2017 in three versions (Spark RC with 100 millimeters of travel, Spark with 120 millimeters of travel, and Spark Plus with 120/130 millimeters of travel ), With HMX-SL / HMX carbon frame for the 9 models of the Spark RC and HMX / HMF carbon frame or aluminum for the 20 models of the Spark and the 4 models of the Spark Plus with 27.5-inch wheels. Coming soon, more details about montages and prices.